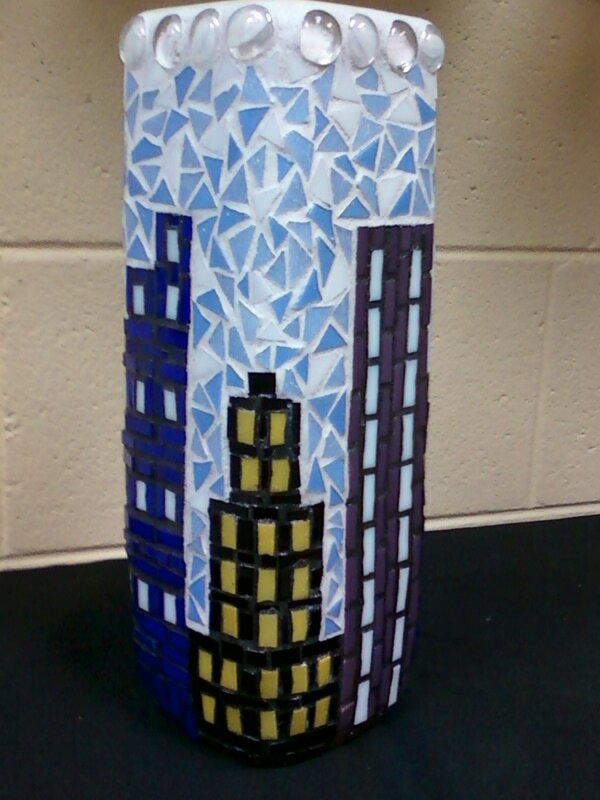 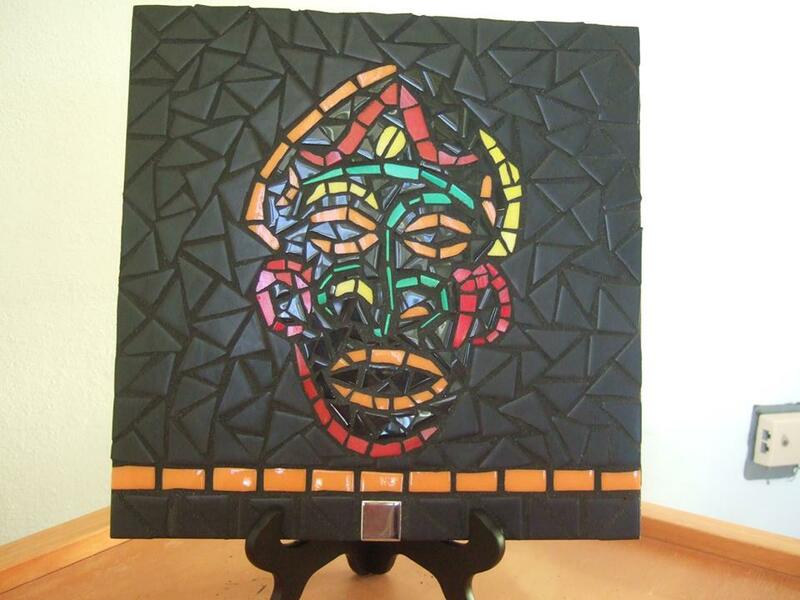 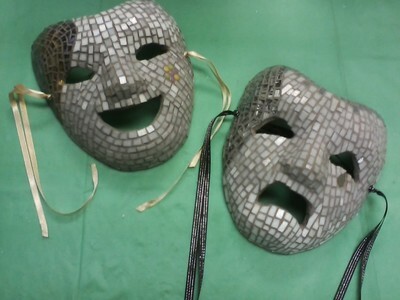 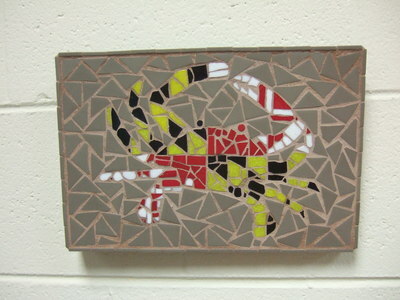 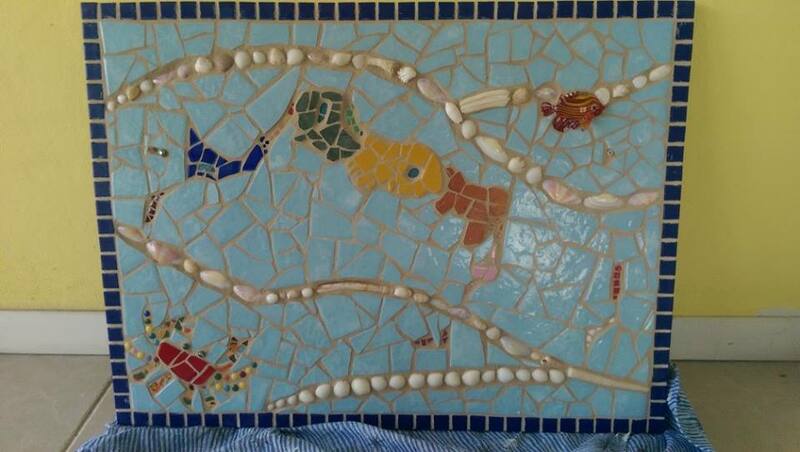 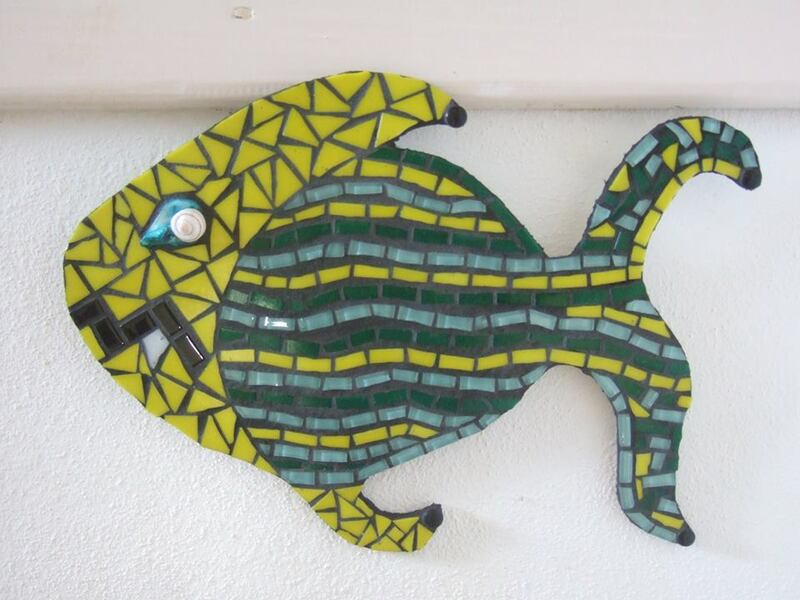 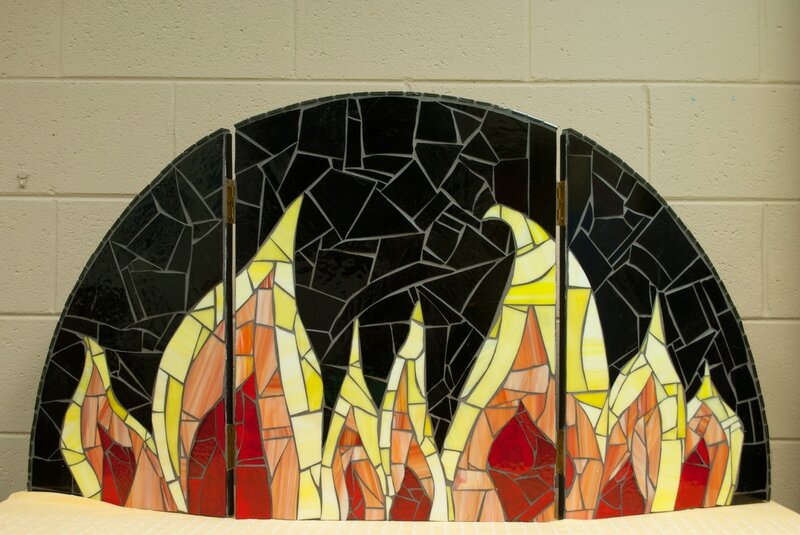 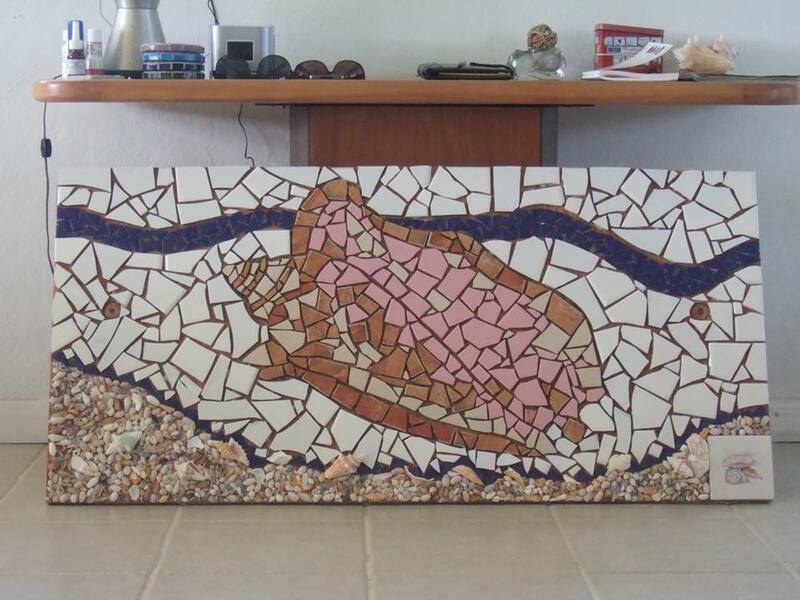 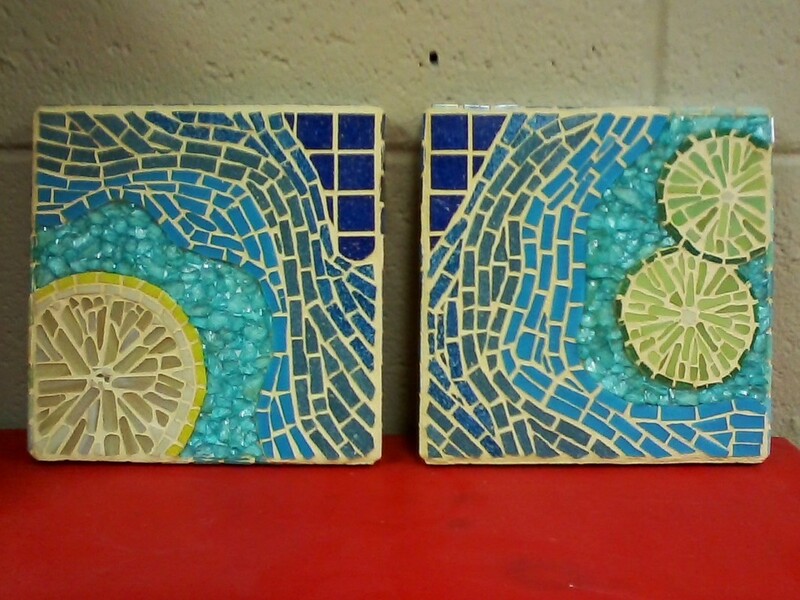 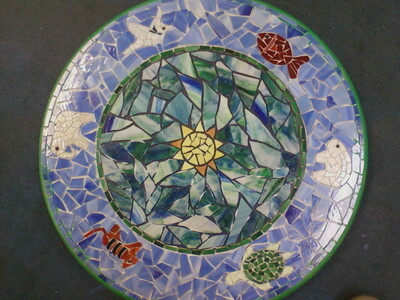 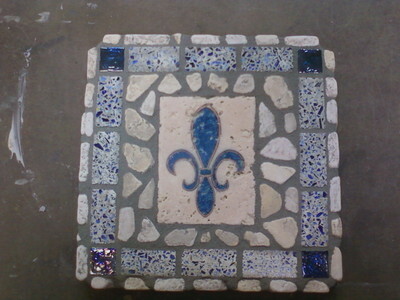 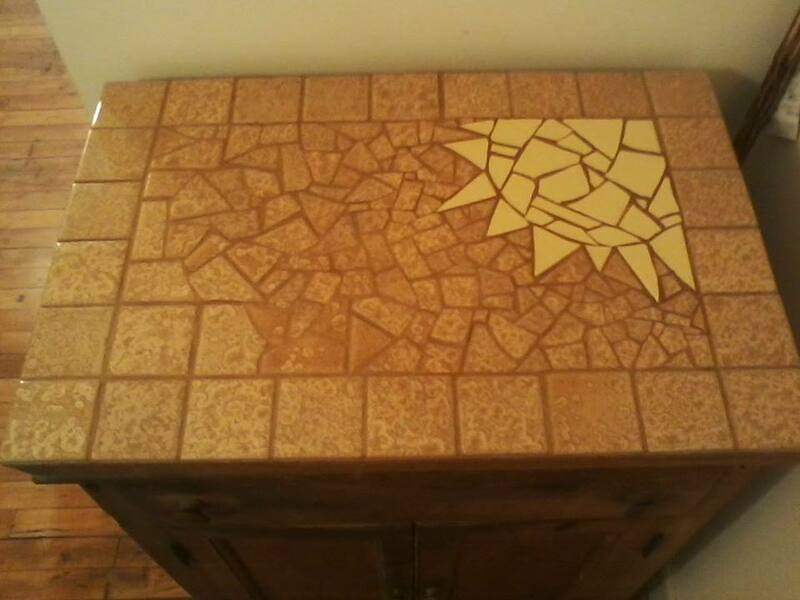 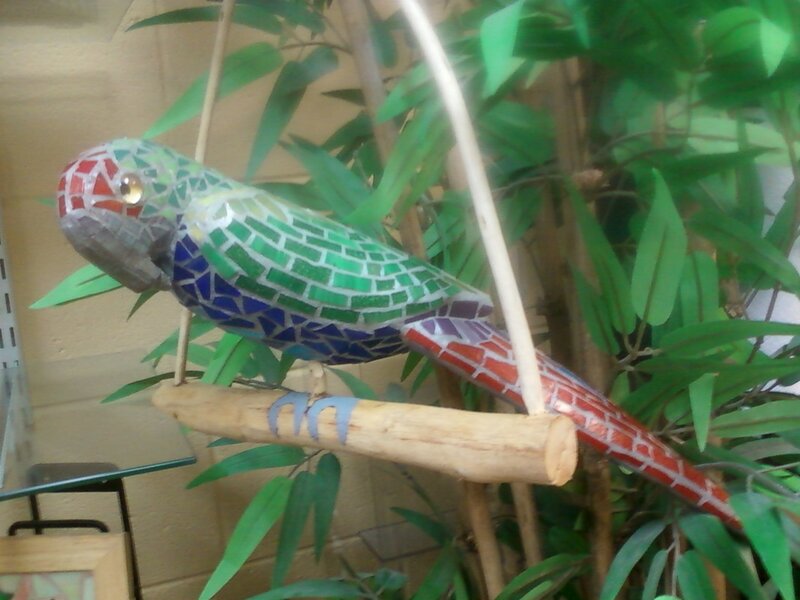 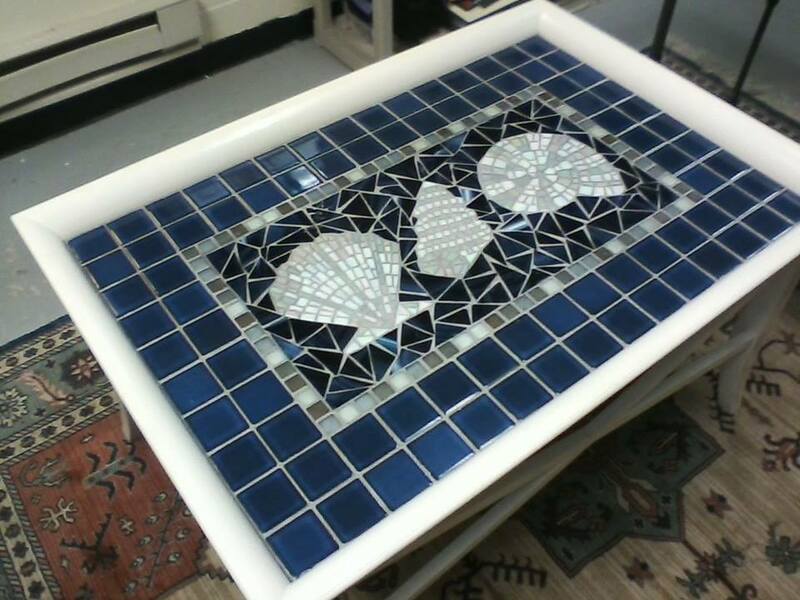 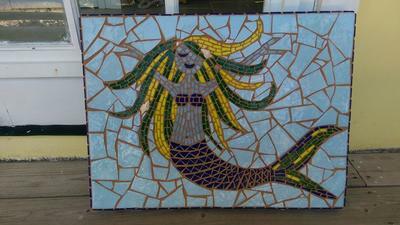 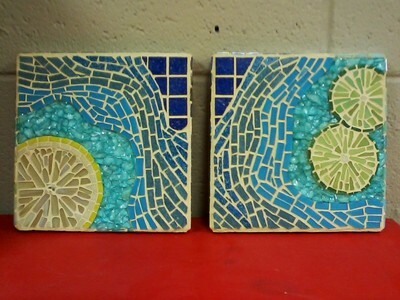 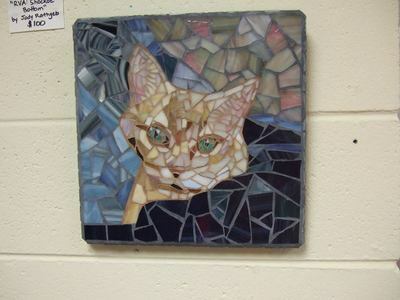 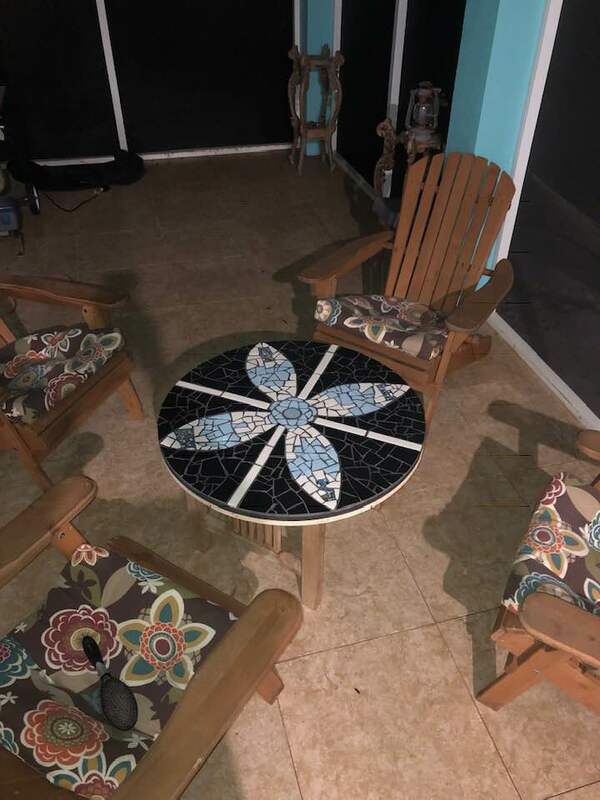 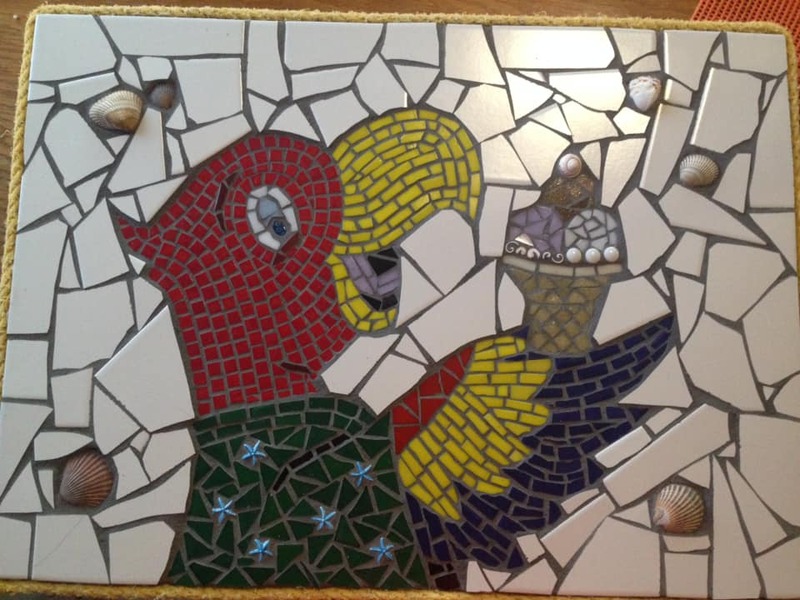 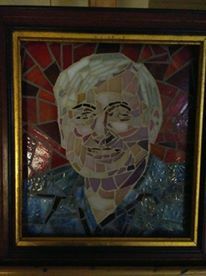 Mosaics on this page have been sold or commissioned. 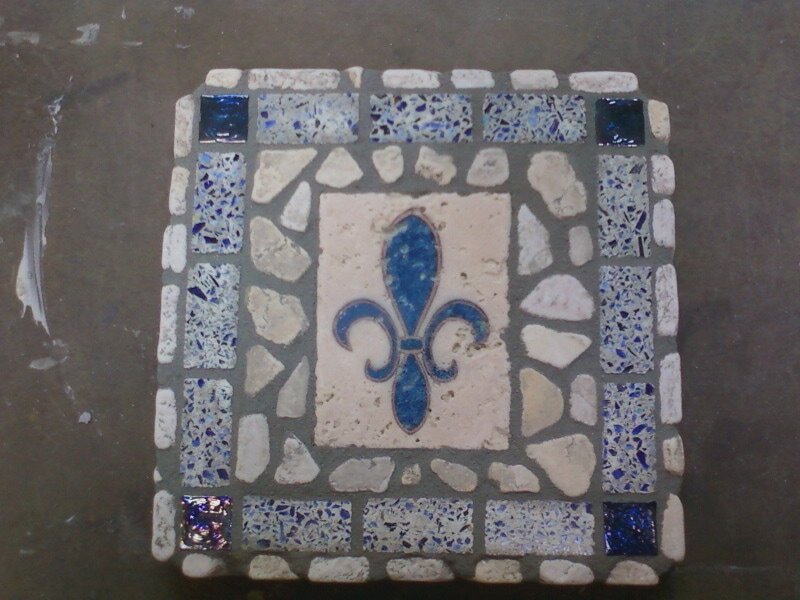 If you are interested in something similar, please contact me about possibilities and pricing. 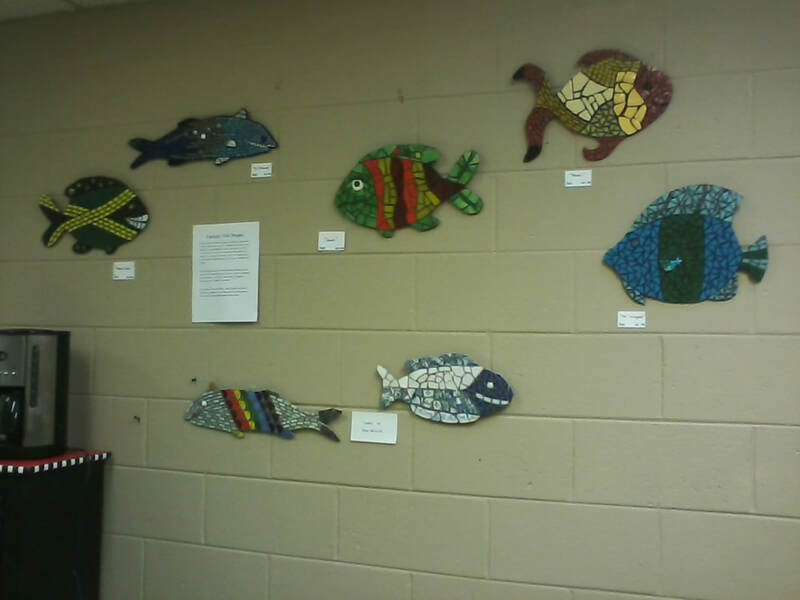 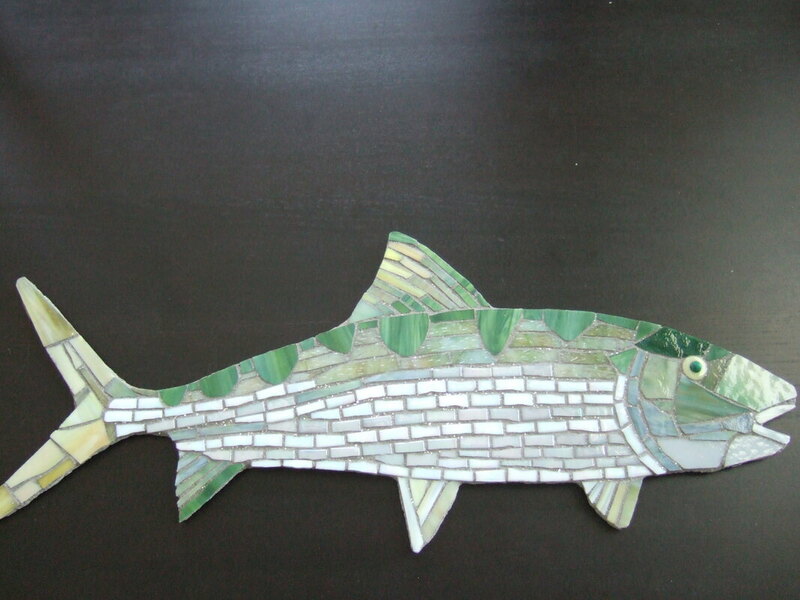 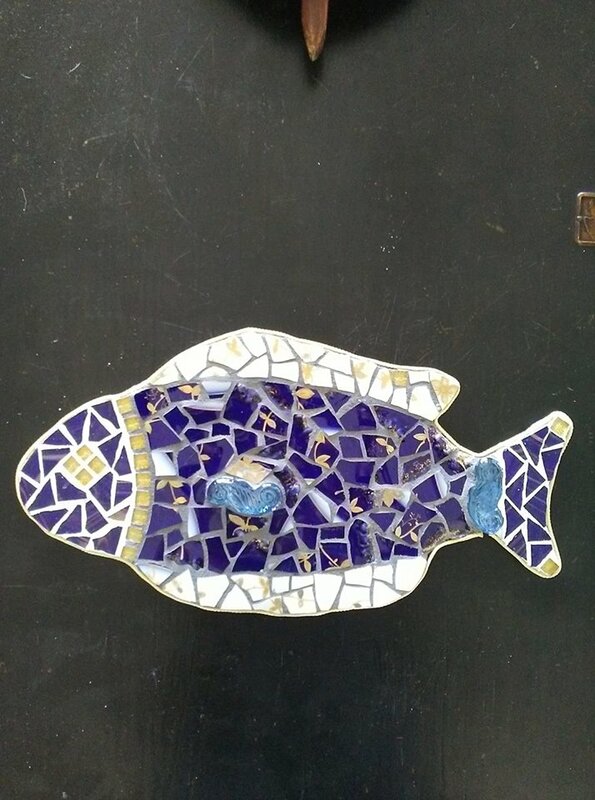 The grouping includes images from my Fantasy Fish Project, for which I created fish forms and gave them fanciful mosaic patterns. 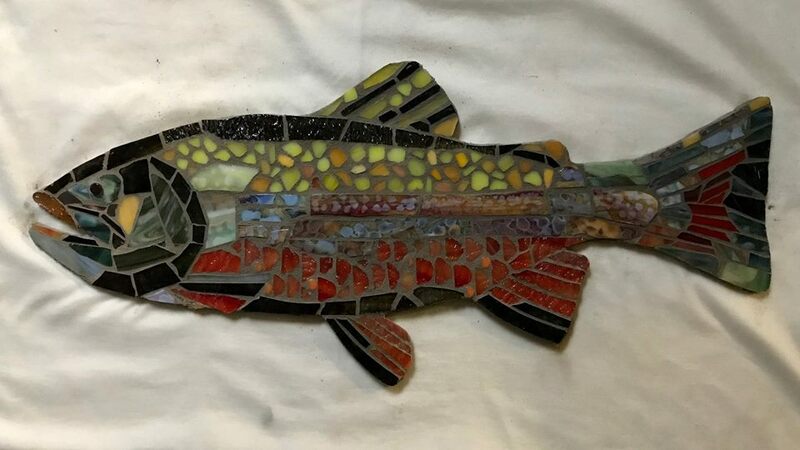 Some people requested a more realistic fish, so I made forms for a brook trout and bonefish and fulfilled those commissions. While not all of the original fantasy fish have yet sold (they are on display at the Aquatic Restaurant on North Caicos Island), I will still take commissions for either fanciful or realistic fish.